Great day trip from El Gouna to Pyramids by plane to visit one of the seven wonders of the world Giza Pyramids complex include Saqqara the step Pyramid, and Memphis City accompanied by a private Egyptologist tour guide, then fly back to Hurghada and transfer to your hotel in El Gouna. Flight tickets from Hurghada to Cairo and return. Qualified Egyptologist guide during the day trip. 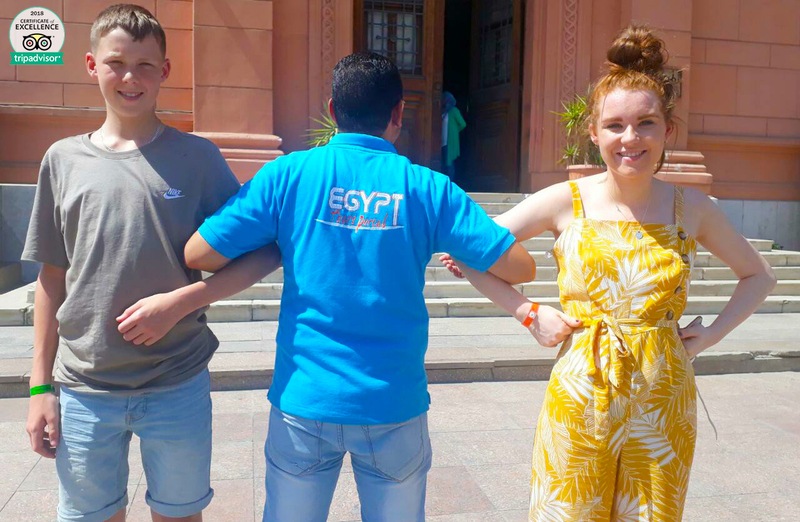 Finally, we will transfer you to Cairo airport for flight to Hurghada and transfer to your hotel to end your day trip from El Gouna to Pyramids by plane. I visited Egypt for a week with girlfriends. We booked 2 one day tours of Cairo with a guide named Amani and she was AWESOME! She’s very knowledgeable and passionate about the history of Egypt & she loves her city! She answered all of our questions, took us shopping to several great places, found us great Egyptian food to eat, and was very sweet & kind. It was really lovely having a female guide as well! If you’re looking for a great guide, ask for Amani! !